I Authorize Heena Tours & Travels to contact me. Arrive Narita Airpot & and after clearing customs & immigration proceed to Tokyo. Enroute Visit Statue of Liberty & Toyota Mega Web - MEGA WEB is the car theme park to 'Look', 'Ride' and 'Feel' automobile. Procced for Lunch, after Lunch Check in at Hotel. Day free for rest. Evening enjoy Shopping at Akhiabara. Enjoy Dinner & Overnight at Tokyo. After Breakfast proceed to Sightseeing Of Nikko – Visit Kegon Fall - The almost 100 meter tall Kegon Waterfall is the most famous of Nikko's many beautiful waterfalls. Kegon Waterfall is also a popular autumn color spot. And also Visit Line Kudari – Enjoy River Boat Ride. Later Proceed to Tokyo. Overnight at Tokyo. After breakfast today Full Day tour to Tokyo. Visit Tokyo Tower ( 150 mtr ). The 333-meter-tall Tokyo Tower ranks 22nd in the world’s tallest towers. Now VIsit Asakusa Temple & Nakamise Dori. After Lunch proceed for Imperial Palace & Free Shopping Time at Ginza. Overnight at Tokyo. After breakfast proceed to Hakone & Visit Mt Fuji & Hakone Komagatake Ropeway. Japan’s Mt. Fuji is an active volcano about 100 kilometers southwest of Tokyo. 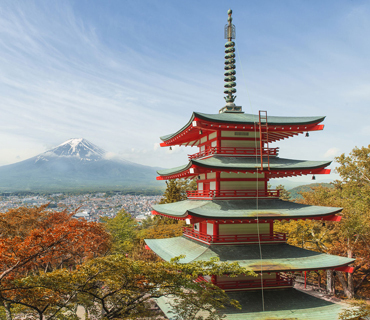 It is the highest mountain in Japan at 3,776.24 m (12,389 ft),Mount Fuji's exceptionally symmetrical cone, which is snow-capped for about 5 months a year. Today we are visiting most exciting experience From Odawara to Hiroshima BULLET TRAIN ( 04 Hrs. ) Overnight in Hiroshima. Today Visit to Hiroshima. Hiroshima is best known as the first city in history to be targeted by a nuclear weapon when the United States Army Air Forces(USAAF) dropped an atomic bomb on the city at 8:15 a.m. on August 6, 1945, near the end of World War II. Visit : Hiroshima Atomic Bomb Dome, Peace Memorial Museum. Now proceed to Miyajima by Ferry & Visit Kurashiki for Photo Stop. Overnight in Tokushima / Kagawa. After Breakfast proceed to Osaka enroute UZusio Watching Cruise ( huge Whirlpool ) depending on Sea Weather & orientation of Onaruto Bridge & Akashi Bridge. After Lunch Visit to Hakutsuru Sake Brewing. Check in at Hotel & Rest. Overnight in Osaka. After Breakfast depart for Sightseeing of Osaka - Osaka Castle, Umeda Sky Building. Enjoy Lunch After delicious lunch proceed to NARA, visit Todaji Temple where you can visit the world's largest bronze statue of the Buddha & Nara Deer Park Over 1,200 wild sika deer freely roaming around in the park. Overnight in Osaka. After breakfast proceed for Kyoto to Visit Kinkauji Temple is a Zen Buddhist Temple in Kyoto. Later Visit to Fushimi Inari The highlight of the shrine is the rows of torii gates this is called Senbon torii. The custom to donate a torii started to spread since the Edo period (1603 – 1868) to get a wish to become true or to thank for a wish that became true. Along the main path there are around 10,000 torii gates. After Lunch Visit Nishiki Market, Nishijin Kimono Show & Gion. Overnight in Osaka. Proceed to Airport to board the flight to Mumbai. Arrive Mumbai & End of Memorable Tour Conducted by Heena Tours & Travels. 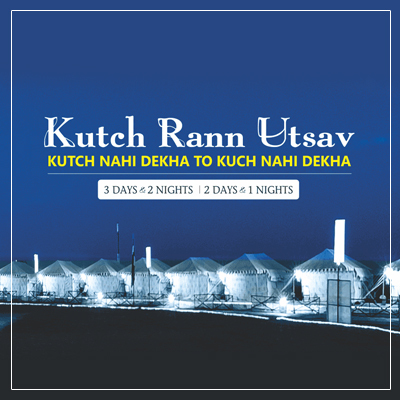 Accommodation on twin or double sharing basis in 3 & 4 star hotels. 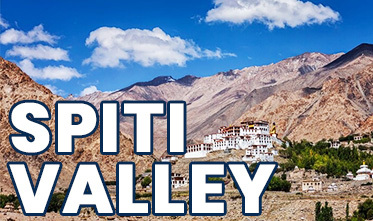 Airport Transfers and all sightseeing transfers as mentioned in the above itinerary by air-conditioned coach. Entrance fees to all mentioned sightseeing in the itinerary marked in yellow. English speaking guide on days 1 – 9 for sightseeing only. Accommodations as listed in this itinerary. In the event some accommodations become unavailable we will do our utmost to provide accommodation of similar quality and/or price. Itinerary subject to change as per the availability of hotels and flight arrival timings into Japan. Personal travel plans / programs before, during, or after the tour. Cost of extension of validity, of your main international air ticket. 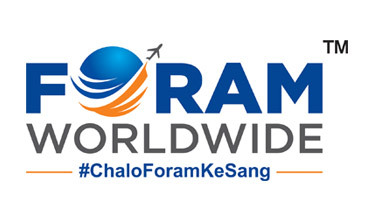 Any increase in the airfare / taxes / routing charged by the airlines for tickets. Any change in the hotel cost prior to departure due to rate fluctuation. Any airfare / other transportation / other services not mentioned in the 'Includes' column. 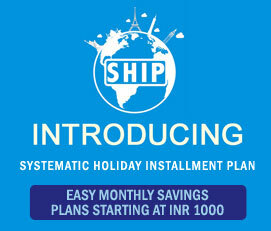 The above cost does not include any Surcharges which might be levied by the respective hotels during any special. Events or Exhibitions taking place during the requested dates. Departure dates available on request. Select departure date from left side to view cost. But we actually don't want you to see this - We believe you deserve holidays..
For Online Payment % convenience Will Be Added. 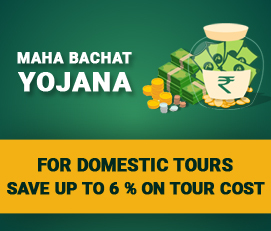 Maha Bachat scheme discount is available on domestic tours and with full payment only. Discount is not available for London tours. 303 / 304 / 305, ML Space, DJ Road, Vile Parle (West), Mumbai - 400056.